Whether you’re beginning a therapy routine or revamping your New Year’s Resolution, the truth is the same across the board: exercise is beneficial. Exercise is good for your heart, your lungs, your muscles, and your mind. It contributes to better lifelong health and self-esteem. It’s simply a good idea all around, as long as you approach it the right way. Exercise covers a broad landscape of options. From jogging or weight lifting to swimming or walking, there are many opportunities to find both what you love and what you should avoid. The world of exercise and fitness can be full of expectations and deceptive successes. An exercise plan or nutritional change may have worked wonders for a celebrity or family member, but that doesn’t mean it’ll do the same for you. It’s important to isolate your needs and preferences and create an exercise plan that will complement your lifestyle. 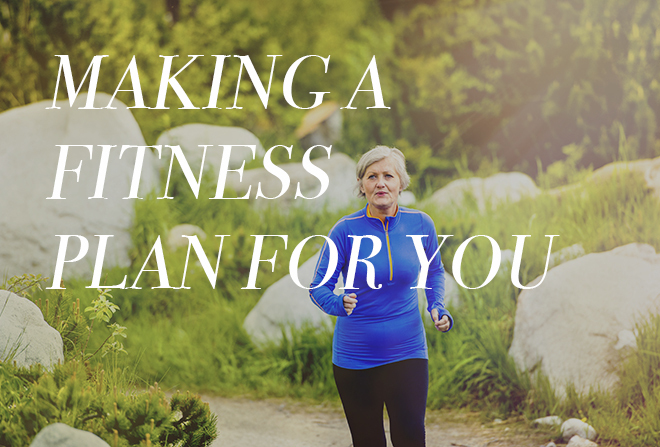 Talking to your doctor before you start a new exercise plan is always a good idea. This can help prevent negative outcomes and help you achieve more satisfying results. Not only can a doctor tell you what to avoid to prevent injury, but they can also offer exercise suggestions based on your height and weight. This expertise will assist you in being as successful as possible in your endeavors. Exercise doesn’t have to be drudgery. The exercise options available nowadays are practically endless. 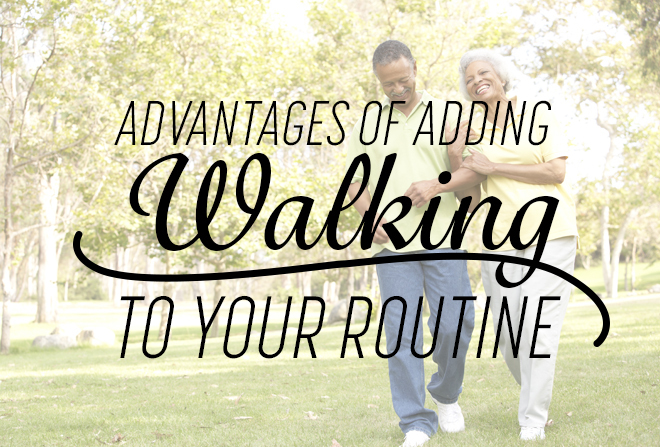 If you enjoy working out in solitude, walking or jogging can provide some much-needed alone time. If dancing is a favorite activity, try a dance-based workout like Zumba or Jazzercise. Many gyms offer a variety of weight-lifting options, and water-based activities like swimming or water aerobics provide a low-impact workout for people with weak knees or other limiting conditions. If you can’t afford the gym, or simply aren’t interested in going to one, purchasing a workout DVD or streaming exercise videos online can provide you instruction within the comfort of your home. Be kind to yourself. Remember the fact that any exercise is usually better than no exercise, and that you’re probably not going to be able to run 10 miles right off the bat. Setting impossible goals or unrealistic expectations often leads to failure. Finding a fitness partner or family member who can help motivate you can be extremely helpful, especially in times of discouragement. Talking to your doctor is a good way to get a realistic view of what you can accomplish based on your current physical ability. If a healthy lifestyle is your goal, then an exercise plan must be paired with a healthy diet. Filling your body full of sugar and saturated fats will counteract the progress you’re making and can produce discouraging results. This, however, does not mean that you need to deprive yourself. Simply eating more fruits and vegetables while cutting down on rich and sugary foods will not only help you to feel better but will also provide your body with the necessary nutrients that it needs to carry out your exercise plan. Proper nutrition during exercise is another great reason to talk with your doctor before you begin, as he or she will be able to counsel you on a diet that is right for you. 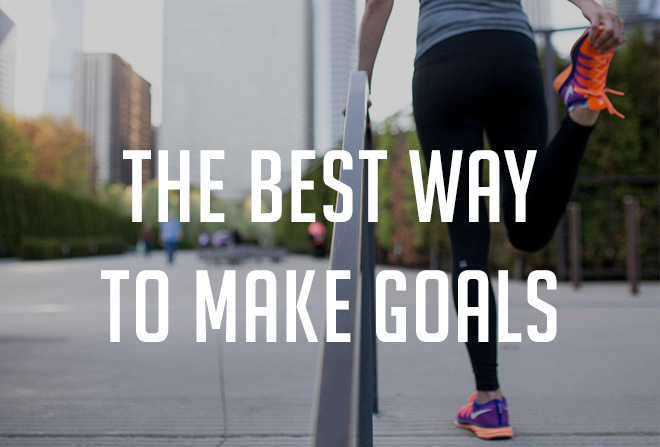 If you’ve come to the decision to adjust to a more healthy lifestyle, you’re already on the right path. Remember to drink plenty of water, be aware of your abilities and limits, and ask for help if you’re unsure of the right course of action. Patients from all walks of life come through the doors of CCRH, and we get the extreme privilege of experiencing their varying personalities, hopes, fears, and knowledge. While the differences are always distinct, we have noticed that there is at least one factor that is common among the lot: stress. Whether the stress is minor or extreme, it’s a feeling we see written on the faces of team members and patients alike. 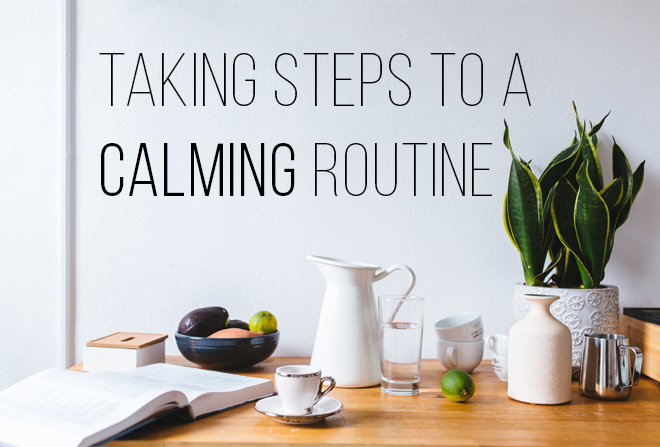 Last week we talked about Healthy Ways to Handle Your Stress, and one of our tips was creating a calming routine. The following tips can be incorporated into anyone’s routine, and may help relieve a stressful schedule. 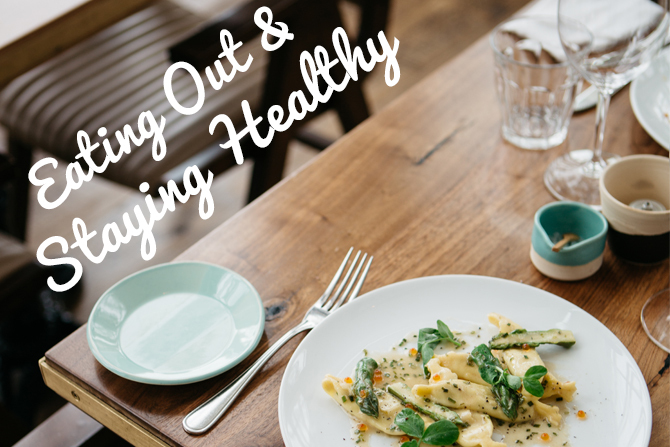 “Stress-eating” is a term that gets heard more and more these days, and is a sneaky pitfall when it comes to taking care of yourself. A recent study by food scientists at Cornell University has shown that, when experiencing a period of negative emotion, pleasurable foods become even more appealing than usual, and unappealing foods become exponentially more distasteful. This information makes it even more important to adopt a healthy diet. By planning ahead and making nourishing foods easily accessible, you’ll be better prepared for those times when you’ve had a rough morning, and a box of doughnuts shows up in the hospitality room. The simple act of eating a satisfying, nutrient-packed breakfast can set the atmosphere of your whole day, removing the need to reach for an unhealthy snack. Making an impulse-eating decision can often cause guilt or physical discomfort later on—which will only further contribute to your stress levels. One of the best ways to ease your mind is to get moving. Exercise triggers the production of endorphins, which are the neurotransmitters in your brain associated with “feeling good.” By focusing your mind on the movement of your body, you’ll be able to give yourself a break from your worries, creating a small, meditative escape from stress. Walking, specifically, is an ideal form of stress relief, as it is more accessible to people of differing athletic abilities. In addition to endorphin production, regular exercise promotes better health and self-esteem, which can drastically decrease stress levels. Any exercise is an effective way to cope with stress, but it seems to be especially so when it is taken outdoors. Being able to remove yourself from your typical environment and take a few moments to connect with the outside world can be a good way to hit the reset button. Stress can be very overwhelming when faced alone. Finding a close friend, support group, or therapist to share your feelings and fears with can help put your stress in perspective. Whether it’s the very basic act of hearing your feelings out loud or the relief of discovering that you’re not alone, finding a person or group to talk to is a powerful way to bring about some emotional relief. While analyzing your stress is important and helpful, it’s equally important to give your mind a break. When feelings of anxiety and burden become too overwhelming, a brief, pleasurable escape can allow your body and mind to relax. In addition to exercise, there are many ways to do this. Finding a new book to read or carving out some time to listen to your favorite music can help release some more of those endorphins and better prepare you to tackle your stress later on. 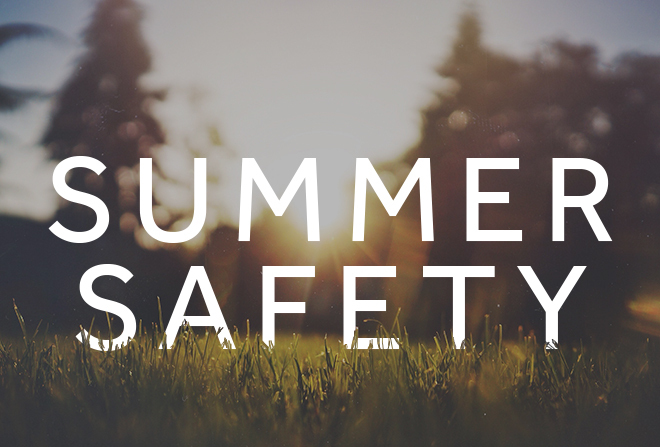 Be careful, however, to avoid distractions that are harmful, such as drugs, alcohol, or stress-eating. 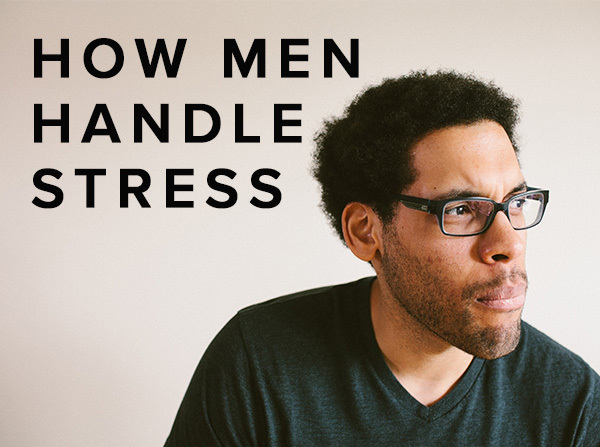 These are deceptive escapes that ultimately result in more stress for you. A tried-and-true method of stress relief and relaxation is the practice of deep breathing. While causing extreme emotional strain, stress can also affect a person physically. Practicing deep breathing exercises can help reverse some of the effects that stress has on the body by relaxing your heartbeat, increasing oxygen to your brain, and even lowering your blood pressure. We encourage you to visit this link for a fantastic resource on deep breathing information and exercises. While all of the above activities can help reduce your stress, sometimes the only way to find relief is to remove your stressors. Make a list of factors that you can change, control, or accomplish, such as necessary duties and overwhelming tasks that need to be finished. You’ll find your relief grow dramatically as you remove these stressful items from your list, allowing more room for the things that bring you happiness. Those on the team here at CCRH are no strangers to stress. We want to provide a source of comfort and knowledge so that our patients and their families receive the best possible care. Adding just one of these tips to your everyday routine may seem like too small a task to make a difference, but being more aware of being stressed helps you make a step in the right direction. It’s important to give yourself the permission to relax every once in awhile, whether that quiet moment is spent with a steaming cup of tea or an indulgent massage. 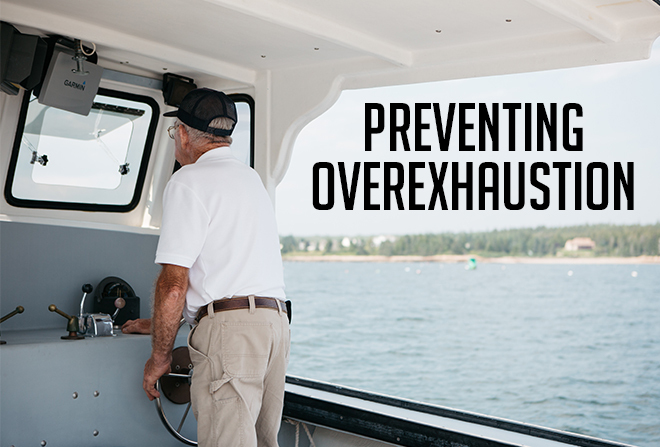 Stress and exhaustion can cause long-term health issues if allowed to remain severe for too long. We’d like to share a few tips for relaxation to help you take care of yourself. We’ll start with a cup of hot tea. Some studies suggest that an amino acid found in tea, L-theanine, causes the brain to relax. While this statement is still mildly debated, the fact remains that tea is the second-most-consumed liquid in the world, next to water. Many people attribute the simple ritual of sipping a cup of tea to a calming, familiar feeling that is brought on simply by the action of drinking it. Other herbal teas, such as chamomile and lavender, are said to have calming properties as well. When dealing with herbs, it’s important to check with your doctor if you have any conditions or take medicines that react badly with the herb blends… but if you’re in the clear, what’s to lose? Put on the kettle and see if those shoulders loosen up. 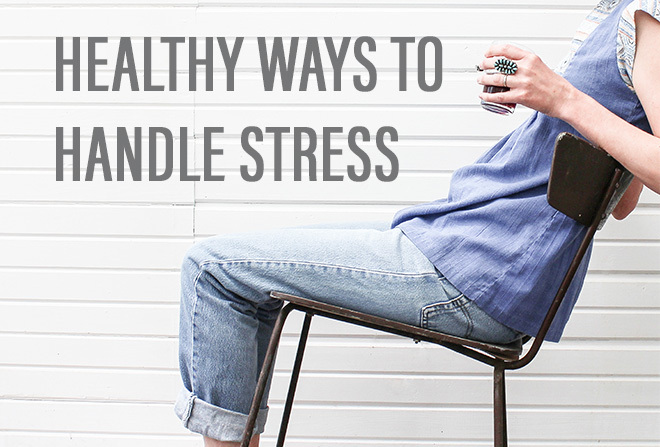 If you find yourself regularly feeling stressed out, you might benefit from a calming routine. 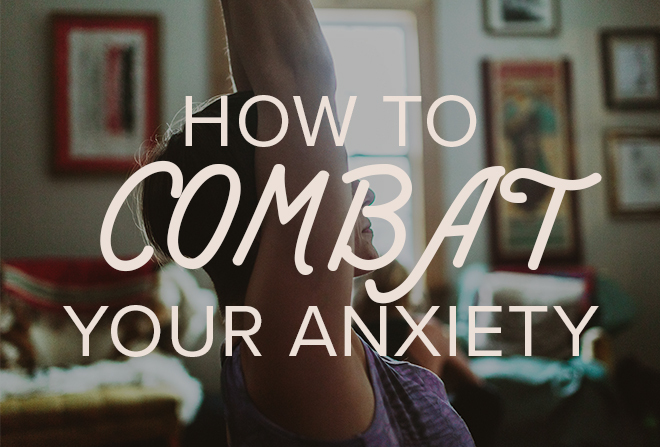 It can be something small-scale to help you calm down in a pinch, or a longer ritual to help you wind down before bed. Either way, it’s important to examine your needs and feelings to establish a routine that will be right for you. Do breathing exercises help? Do you enjoy reading? Is a long, hot bath a surefire way to ease your worries and turn down the thoughts in your head? 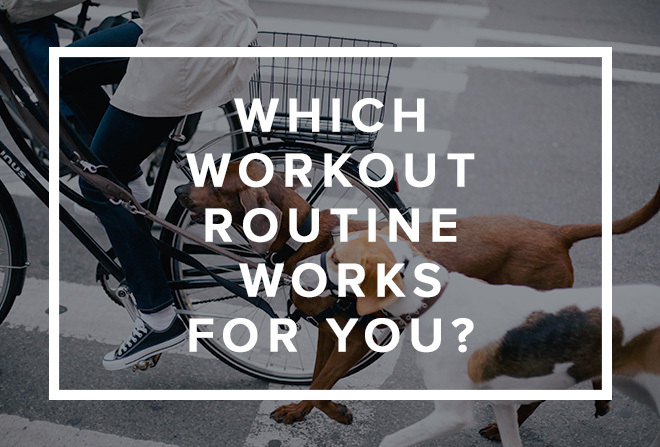 Routine provides something to look forward to and creates a consistent set of actions that you can depend on. You can always add a nice cup of tea to that ritual, of course! For some people, the act of movement allows the body to burn off energy and the mind to find focus. While more strenuous activities like running and weight-lifting provide a release for some, it’s often the case that a more gentle form of exercise allows a stressed-out individual to calm both their mind and body. Long walks, yoga class, and low-impact swimming are all ideal examples of using exercise to release stress. Stress often results from a buildup of responsibilities and negative emotions. Keeping a journal can provide a much-needed space into which you can release some of those fears and concerns. According to a 1986 study on expressive writing, students who wrote about traumatic and stressful events reported an almost immediate decrease in distress. Those who continued the practice over time reported an increase in the quality of their physical health as well. Bottling up your feelings can lead to stress. Releasing those feelings can relieve that stress. A journal is a wonderful way to disclose your emotions and thoughts in a safe, controlled environment. Whether you love tea or hate it… whether you’d rather run a mile than get a massage, the point of this post is to encourage relaxation that works for you. A mind that carries stress and tension for a prolonged period is also a body carrying that stress and tension. Finding techniques that help ease both physical and mental stress will allow you to focus on the things that you love. We like the Number 2. This is the 2nd year we’ve been ranked as a nationwide leader in rehabilitative care. It makes us feel good. We’re passionate about patient care, and it’s nice when our efforts are recognized (especially by an unbiased, third-party). It makes our patients feel good. Who doesn’t want the best care when you’re in a hospital? Our patients know they’ll leave the hospital as active and independent as possible. Patients and families can save their frequent flier miles. We keep people here in Corpus Christi. 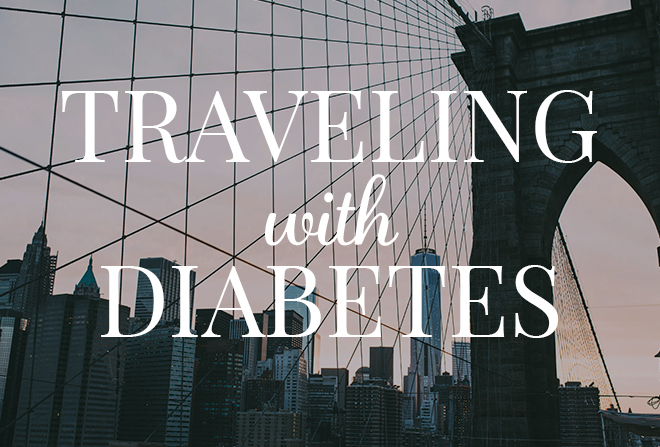 Our patients and their families don’t have to travel the U.S. to receive the best care available. We bring it right here. To you. Locally. We like being a leader. OK, so yeah, we enjoy standing out from the crowd and being different from others around us who provide rehabilitative care. Let’s face it, not all rehabilitative care is the same – inpatient care is better. And we’re not just saying it, research proves it. We might get more “likes” on Facebook. We know we’re not Justin Bieber or Bob Marley, but we love our fans. And we want them to love us. We like sharing good news and like when others share it too. It’s not every day you get to work on a Dream Team. The men’s Olympic basketball team has nothing on us. We work with talented, dedicated colleagues every day, and we look for health professionals of the same ilk to join us….which can only lead to better results for our patients. Ben & Jerry’s is naming an ice cream after us. Well, not really. But that would be cool. We’re throwing a party. We’re going to celebrate with music, friends and yummy food like cake and barbecue. And if we’re lucky, might get to see our CEO’s “happy” dance. 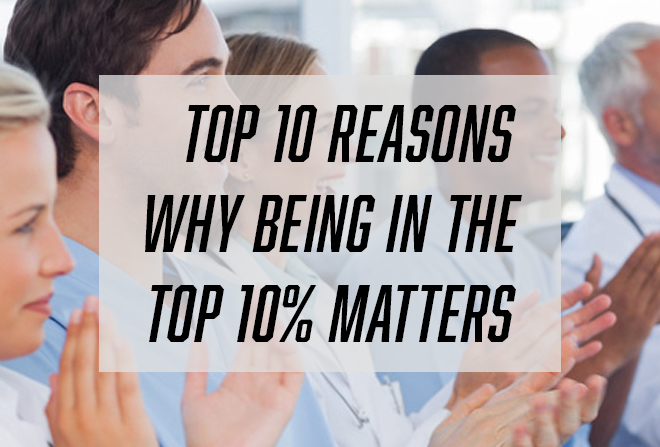 And the Number 1 reason we like being in the Top 10? 1. It Matters! Can you say Olympic gold medal? Fun aside, we’re serious about our commitment to our patients to provide them with the highest level of care available. It matters. To us. To our patients. To our community. The goal of rehabilitation is to help your loved one live and function as independently as possible. Rehabilitation helps the body heal and assists the brain in relearning processes so that an individual recovers as quickly and efficiently as possible. Rehabilitation will also help the person with Brain Injuries learn new ways to do things if any previous abilities have been lost. rehabilitation to people with brain injuries who are not able to live independently. Recovering from a brain injury is a process and is individual to each person and family. One of the major impacts that stroke has on quality of life is the way that it affects a person’s emotions and relationships. There are hardships that immediately come to mind – communication problems, mobility limitations, cognitive impairment – but there are also complex social and emotional stressors that impact well-being. Stroke affects emotions, and in turn, relationships and social functioning among stroke victims and family, friends, and/or caregivers. 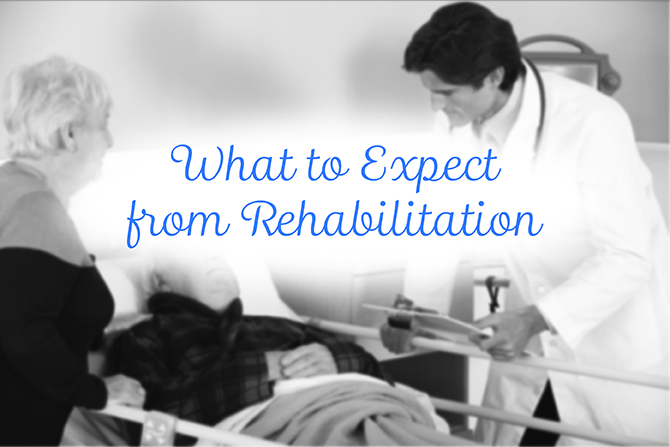 It is important to remember that rehabilitation may last weeks or even years and that your loved one will benefit from the ability to receive rehabilitation services throughout this time. 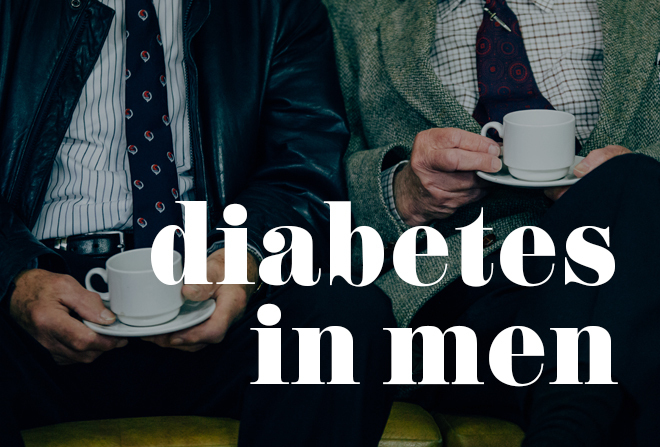 Appropriate programs and treatments will also change as your family member’s needs change. Choosing Ernest Health is a huge step forward on the road to recovery! Last week we covered identifying and understanding brain injuries. If you or a loved one you know has had a brain injury or are at risk for a brain injury, knowing what rehabilitation will consist of can be comforting during a stressful time. There are many physical and emotional challenges that can discourage both the patient and the caregiver. Brain injury is a broad category that refers to any injury to the brain which impairs functioning. The injury may be mild, severe, traumatic, or caused by associated medical problems; however, the goal of rehabilitation is the same – help patients gain the most independent level of functioning possible. Whether the brain was injured during a stroke, a fall, or even an electric shock, the goal of Ernest Health is to get our patients back to a place where they can manage and hopefully flourish in daily life. Rehabilitation therapists form a team, together with the patient and family/caregiver(s), to achieve the best possible outcome. Rehabilitation after a brain injury is more likely to involve several types of therapists and practitioners on our staff because of the effect that a brain injury can have on multiple parts of the body. A physical therapist would help the individual regain range of movement and strength, like in the case of a patient who has had a stroke and subsequent paralysis. An occupational therapist caring for the same patient might work with him or her on dressing, eating, and completing household chores. A speech pathologist might work with the patient on swallowing and communication. Still other practitioners such as psychologists and social workers would aid in psychological, emotional, and social assessment and care. Just as with any type of rehabilitation, a patient’s treatment plan is highly individualized. 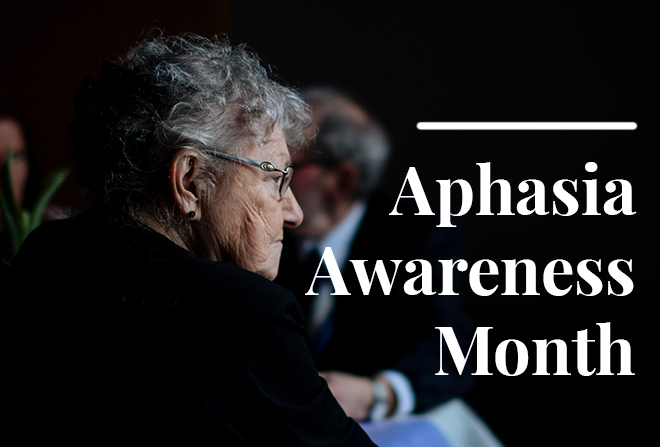 A patient who has experienced a stroke may need different types and degrees of therapy than a person who was in a car accident. It all depends on the extent and impact of the injury. Likewise, one’s treatment may vary according to life stage, age, and daily needs. This individualization greatly benefits our patients and their families. 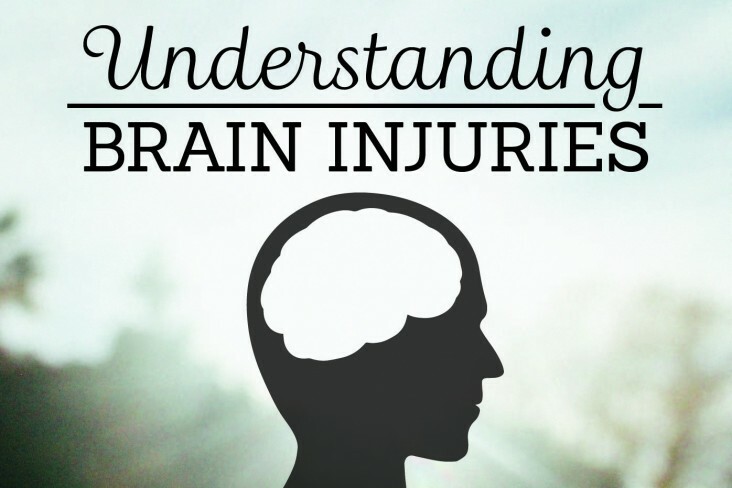 However, Brain Injuries are so much more than a series of physical consequences. One of the major impacts that brain injuries have on the quality of life is the way that they affect a person’s emotions and relationships. 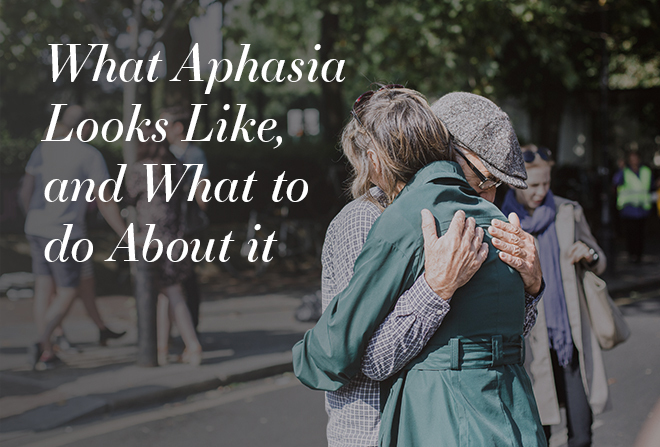 There are hardships that immediately come to mind – communication problems, mobility limitations, cognitive impairment – but there are also complex social and emotional stressors that impact well-being. Knowing what to expect from brain injuries can be especially useful for the caregiver. 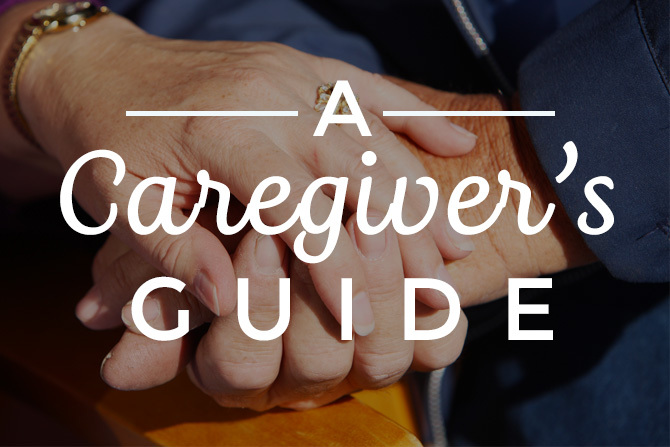 Being a caregiver requires constant encouraging and optimism, but that can be wearying. Next week we cover brain injury rehabilitation for the caregiver. For more information on brain injury, go to www.biausa.gov. There is sometimes confusion about what is considered an acquired brain injury. By definition, any traumatic brain injury (e.g., from a motor vehicle accident, or assault) could be considered an acquired brain injury. In the field of brain injury, acquired brain injuries are typically considered any injury that is nontraumatic. Examples of acquired brain injury include stroke, near drowning, lack of oxygen to the brain, tumor, neurotoxins, electric shock or lightening strike. 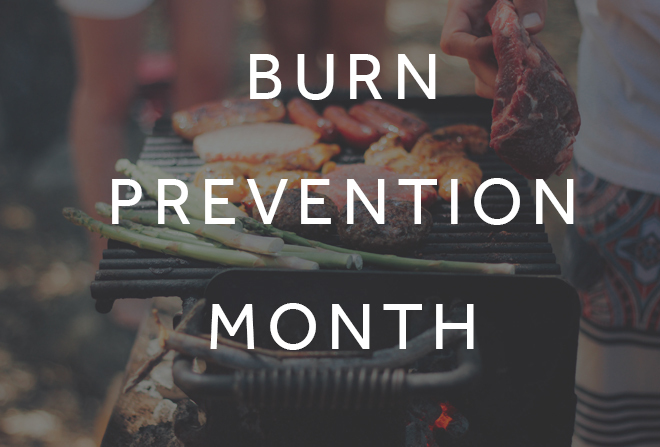 Here at Corpus Christi Rehabilitation Hospital, we love being able to share with our patients the healthy lifestyle options Corpus Christi has to offer. If you have more tips or another favorite restaurant that offers light options, we’d be thrilled to hear from you.